What is happiness for you? 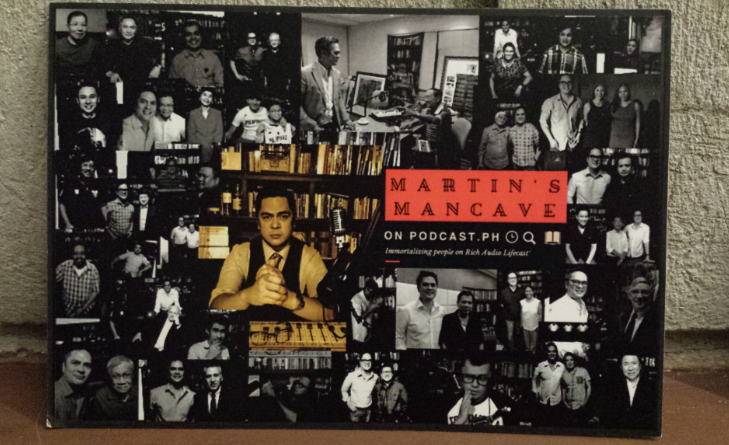 Mine is winning the coolest prizes because it only tells how blessed I am. 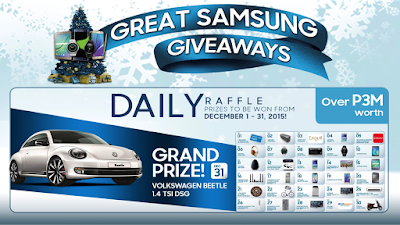 But what I am announcing today is more than the holiday bliss, because Samsung makes sure that it shares its joys with its customers by giving the best gifts this season. 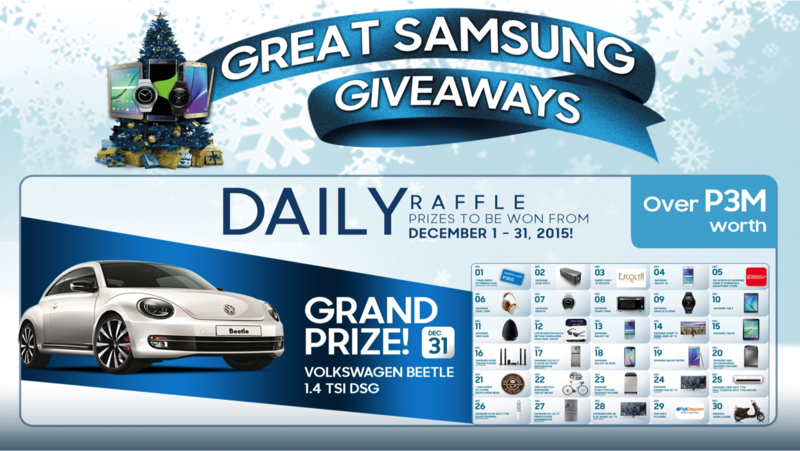 The Great Samsung Giveaways, which runs from November 6 – December 31, 2015 promises to be Samsung’s biggest and merriest holiday offer to date, with all out free bundles, gifts, and daily raffle. Popoy and Basha, these two are the iconic characters of the "ultimate feels" movie, One More Chance. 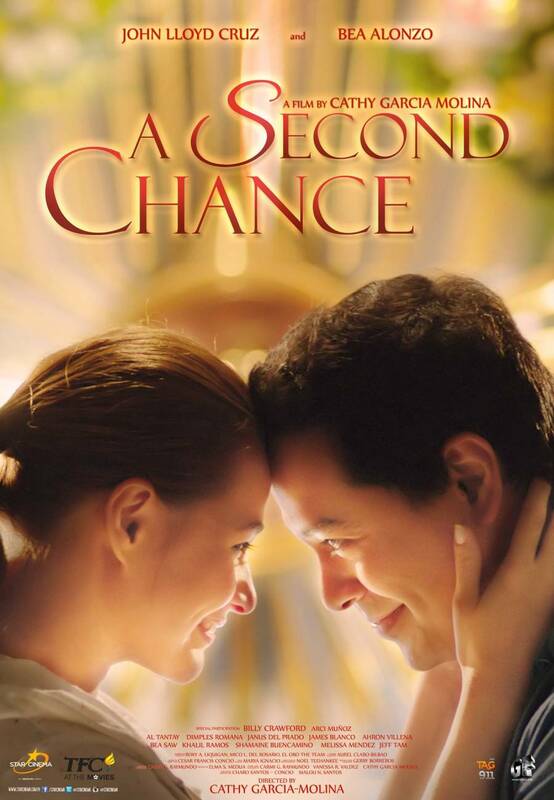 And now, after eight years, John Lloyd Cruz and Bea Alonzo are back in the big screen for the sequel - A Second Chance. Christmas time is so near and the holidays are just so tedious. There are parties here and there, and we ladies are not just busy with the preparations, but also with how we look. In fact, while 8 out of 10 women consistently engage in underarm hair removal to prepare for the season, they may not know that plucking, shaving and waxing actually damage their underarm skin, leading to irritation and bumpiness. That's why its comforting to know that Dove is the deodorant that delivers skin caring benefits and the way to beautiful underarms. Who here still hasn't downloaded iFlix? I think it's the only Internet TV service that I've subscribed to because the have Korean dramas and the top International movies to date. But another good reason why you should subscribe to iFlix is because now, you get to watch top PH celebrities like Iza Calzado, Jasmine Curtis-Smith, Ruffa Gutierrez, Raymond Gutierrez, Richard Gutierrez, JM Rodriguez, and Karylle Tatlonghari-Yuzon. This comes with the collaboration with PLDT, Smart and Samsung Philippines. 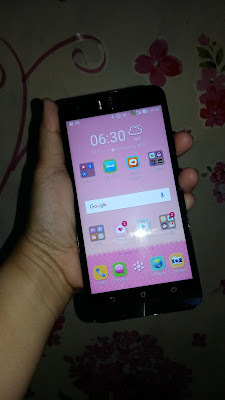 Gone are the days when a phone is used only for connecting with your family and friends. Today, having a smartphone is actually a lifestyle. As a blogger, I have to arrive prepared at events, armed with a camera, a tablet and even my handy dandy planner because I'm still old school. But most importantly, I have to make sure to capture the moments, and even the personalities I come across everyday. And that's where the ASUS Zenfone Selfie is the perfect companion for me. 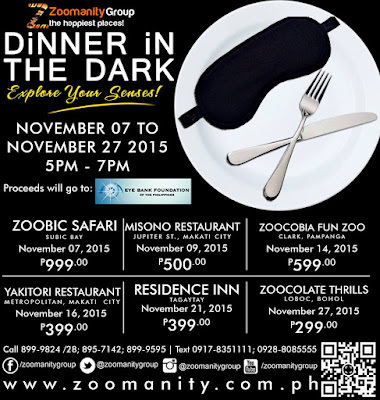 Zoomanity Group Hosts "Dinner in the Dark"
Ever wonder how it is to be blind? 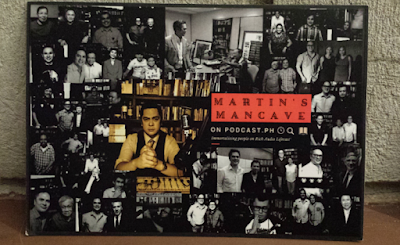 Last November 9, we experienced a remarkable dinner that is one for the books. Get the chance to open your eyes with the "dark" condition at a special dinner by the Zoomanity Group. 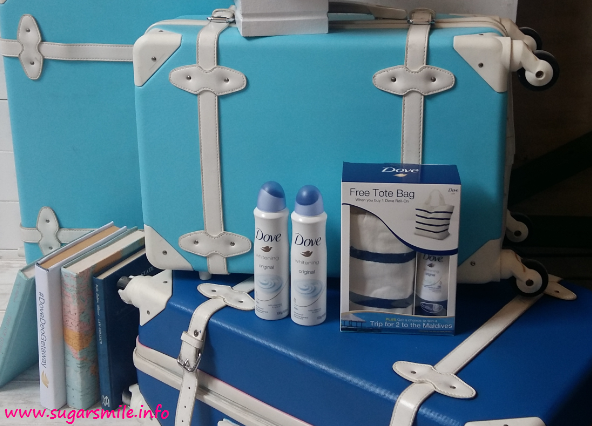 The power to protect yourself from cervical cancer is in your hands. Every woman regardless of race, age, lifestyle or socio-economic status is at risk. But it can be prevented. The World Health Organization recommends screening and vaccination as a form of preventive healthcare. 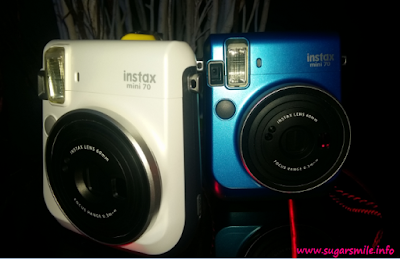 Instax are love! They take photos further because you now have printed copies of your photos and you can personalize them too. 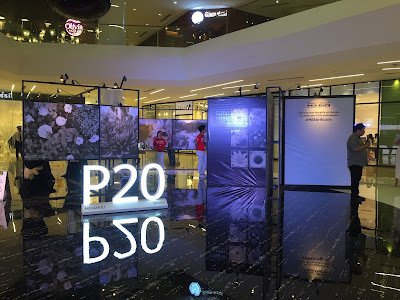 And now, Fujifilm launches the newest Instax mini 70, their latest camera with improved image quality, a new Selfie mode and other exciting features that are perfect for parties especially now that it's Christmas season. I don't know anyone who doesn't like Lechon, here in the Philippines. It's in every festivity and celebration in the country and you'd know that it is grand whenever you see one. Yesterday, Calata Corp, one of the biggest agribusiness conglomerates in the country, hosted the largest "Lechon Party" as part of their 16th Anniversary and an early Christmas treat to the less privileged residents of Metro Manila. 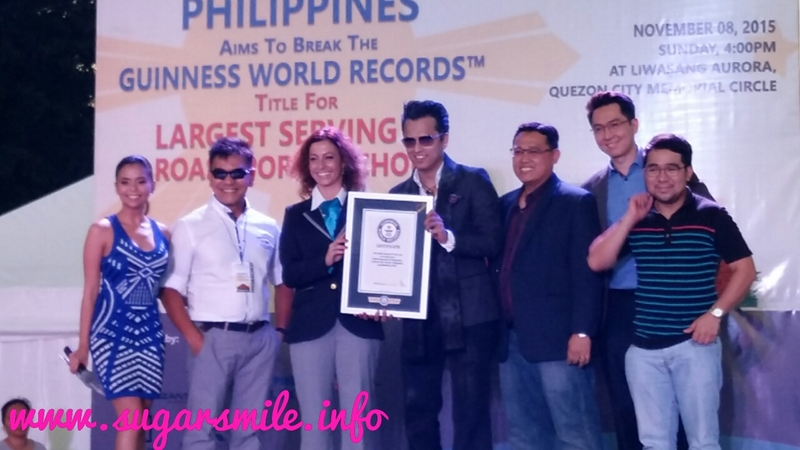 Not only did they hosted a grand celebration, they also broke the Guinness World Record on the largest serving of Roast Pork. 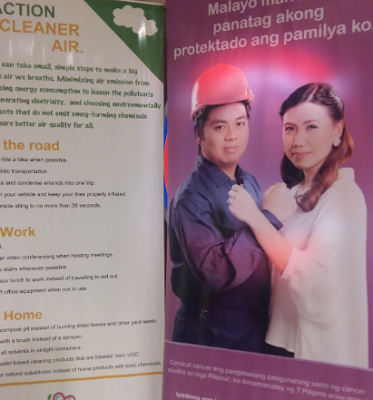 These and all happened at the Liwasang Aurora, Quezon City Memorial Circle. Converse lets you be your own super hero! The brand recently launched its limited edition collection that features Batman, Superman, Wonder Woman, and Justice League characters illustrated by renowned DC Comics artists Jim Lee, Jock (Mark Simpson), Andy Kubertand Kenneth Rocafort. This DC Comics collection marks Converse’s eighth collaboration with Warner Bros. Consumer Products and DC Entertainment, which first launched Fall 2010. 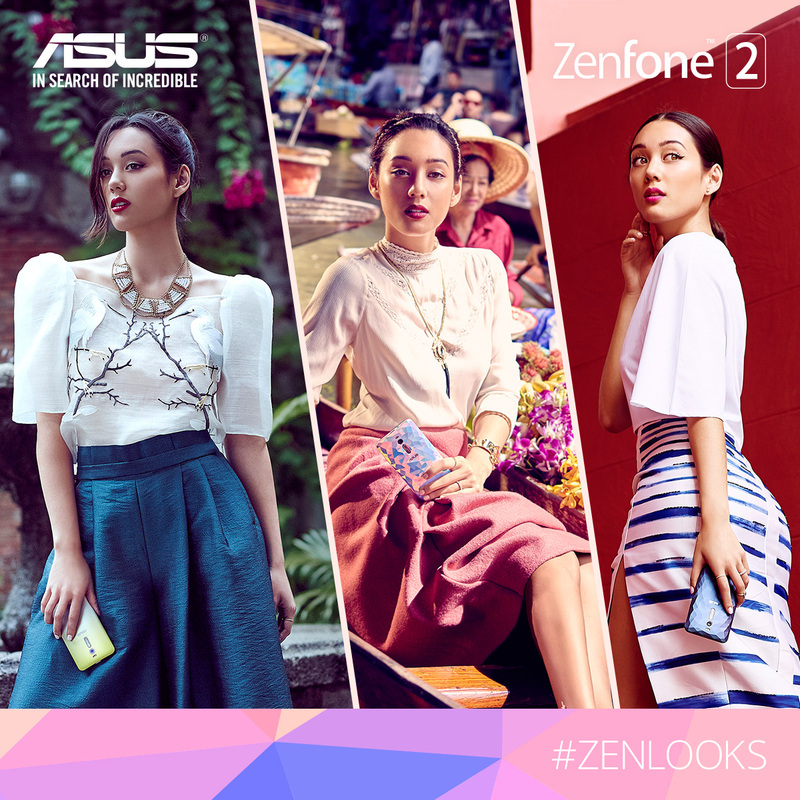 Fashion and ASUS makes a great combination. Recently, the brand announced the launch of ZenLooks, a regional online design competition that invites all aspiring, creative designers and artists to test their skills and have a hand at creating their own ultimate gadget accessory – a new case for the stylish ZenFone 2. Calata Corporation, one of the biggest agribusiness conglomerates in the country, is mounting a grand “Lechon Party” for the less privileged residents of Metro Manila in its bid to break the record for largest serving of roast pork. 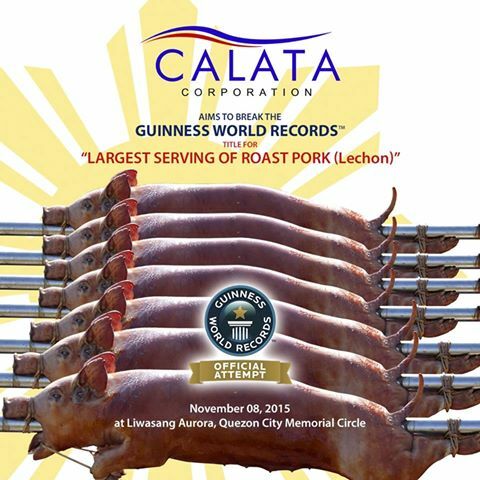 The Lechon Party is set to happen on November 8, 2015, 4:00 pm at the Liwasang Aurora, Quezon City Memorial Circle, Quezon City, in celebration of Calata Corporation’s 16th anniversary, and as an early Christmas gift to the less fortunate residents of the Metro. 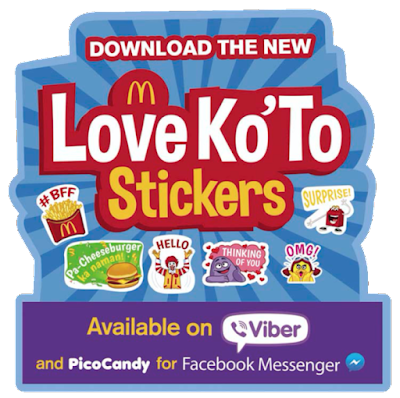 Talking to friends and loved ones online has just gotten more fun with the new McDonald's Sticker Pack for Viber.